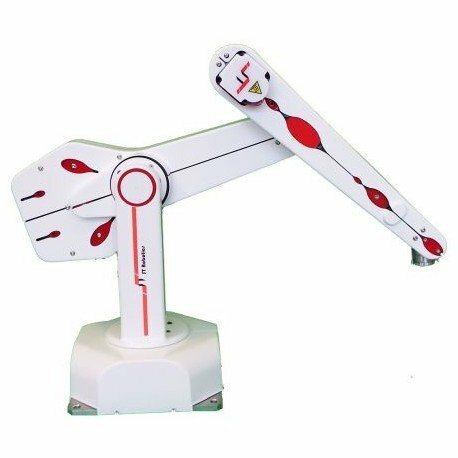 The ST Robotics R12 5-Axis Articulated Robot Arm is a self-contained five (optional six) axis vertically articulated robot arm system designed as a cost effective solution for bench top automation. aPossible pplications include testing, sample handling, machine feeding, etc... The hand ends with a mounting plate to which can be mounted one of the low cost grippers below (gripper sold separately), vacuum pickups or your own device.